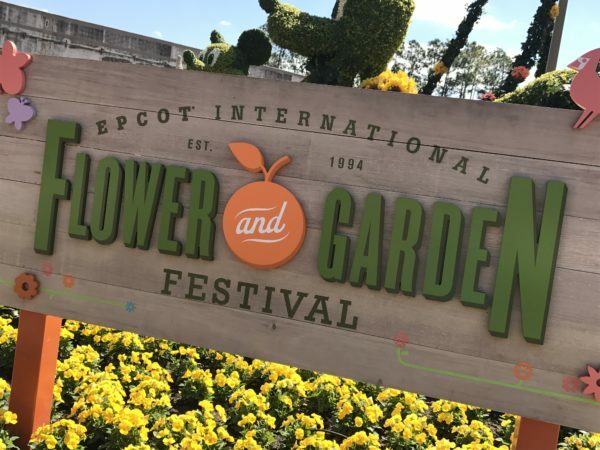 The talent of the Disney World Horticulturalists really shines during the Epcot International Flower and Garden Festival, but they’re actually busy all year round. 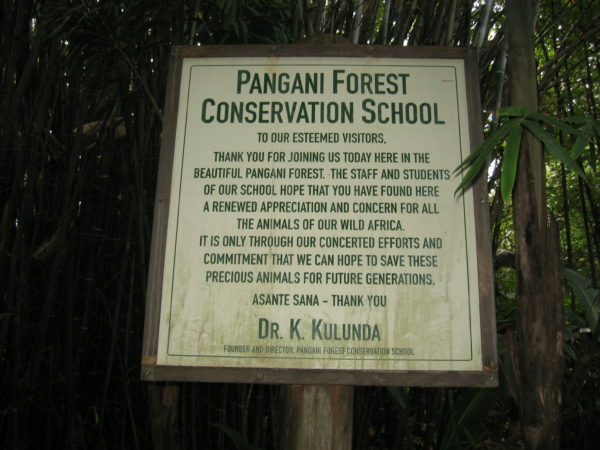 You might be surprised to learn that they do much more than just make Disney World beautiful. It’s hard to believe that Disney employs between 700 and 800 horticultural professionals since you’ve probably never see anything of them! Let’s take a look at the top ten jobs for horticulturalists in Disney World! The first thing you think of when you hear Disney Horticulturalist is likely the annual Flower and Garden Festival. 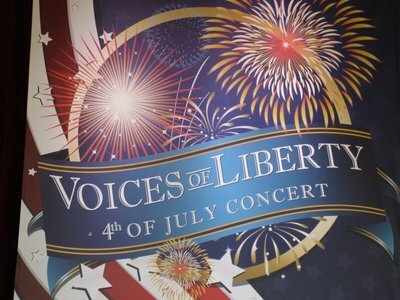 This event brings thousands of floral displays, hundreds of topiaries, a butterfly garden, and talks by professional green thumbs in the festival center. Disney needs lots of people to run events like the Flower Garden Festival. Horticulturalists must design all of this, and it can take weeks, months, or years to prepare for each festival (more on this later). 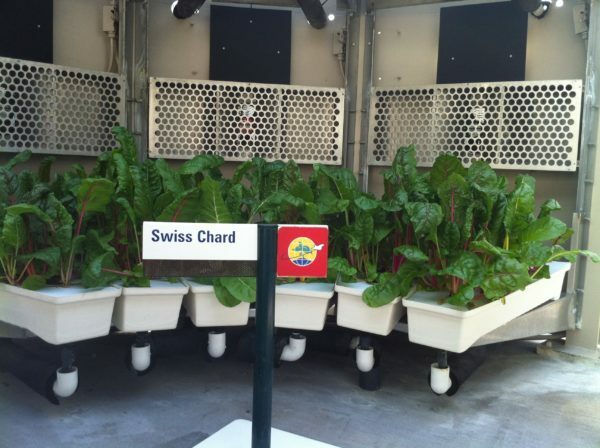 Several of Disney’s Horticulturalists work in The Land Pavilion testing new growing techniques and growing food that guests will eventually eat in Disney World restaurants. In fact, 30 tons of fruits, vegetables, and herbs are grown here and served in the restaurants every year. The herbs are also used in live chef demonstrations during the Epcot International Food and Wine Festival. Some of the food is also donated to local food banks, and others are used for researching purposes to determine whether the growing techniques are working as expected. Horticulturalists grow food that guests eat every day! If you’d like to see the work the horticulturalists are doing here, you can ride Living with the Land, which is a boat ride through the green house and the fishery. You can also take the Behind the Seeds tour during which you can actually talk to the horticulturalists, ask questions, and get your own growing tips! 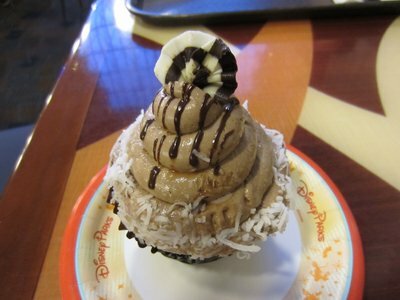 It’s not just the guests that need to eat in Disney World. The animals that live at Disney’s Animal Kingdom and Disney’s Animal Kingdom Lodge eat quite a bit, so horticulturalists have to make sure that the landscape at these locations is edible, safe, and palatable for the animals living here. They’re constantly adding new plants to replace what the animals eat, and they’ll even add pre-cut leaves to prevent the animals from destroying the beautiful landscape they’ve worked so hard to create. They also have to keep the animals interested to make sure the animals are getting enough to eat. 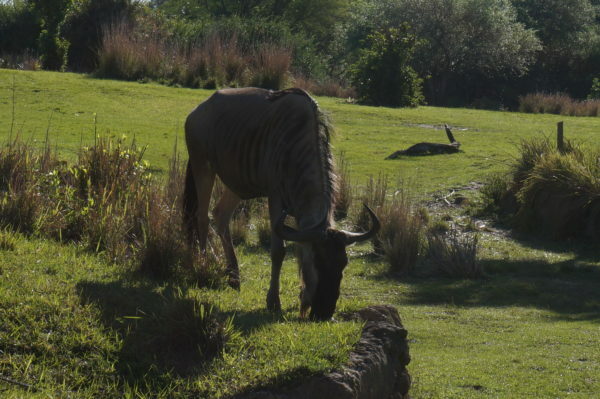 The landscaping at Disney’s Animal Kingdom Lodge and Disney’s Animal Kingdom Park has to not only be palatable for the animals but also be safe for them to eat. Some of the plants are African species, but they can’t always reach their full size because the Florida climate isn’t always suitable. In this situation, the horticulturalists will find a look-alike species that will fit into the theme and also satisfy the animals’ appetites. The plants in these areas were planted at least a year and sometimes two or three years in advance so the theme fit an African Savanna and there was enough for the animals to eat when they arrived. Theming is very important in Disney World, and with 300,000 square feet of flower beds, almost 200,000 trees, four million shrubs, and 3,000 plant species from all around the United States and 50 foreign countries to fit dozens of different themes, the horticulturalists sometimes have to assimilate plants to Florida climate and soil when they’re not from around here. This, again, can take years behind the scenes before the plants are prepared to go on stage and survive without being monitored as closely. While horticulturalists work hard to create topiaries for the Flower and Garden Festival, there are actually topiaries in Disney World all year round. Just imagine how difficult it is to shape a plant like Buzz Lightyear! 30 Cast Members staff a nursery to create thousands of hanging baskets every year that fit the theming of each area of the parks and Disney resort hotels and the season. They have more than 200 designs of topiaries divided, primarily, into three types. Geometrical topiaries are simply designed in a pattern like a flower or a cup (like at Disney’s Contemporary Resort Hotel). Sphagnum moss characters are designed on steel frames that were welded by artists. Horticulturalists place clumping plants on the frame and use hairpins to secure vines in place. These don’t take very long and can be ready in just weeks. Shrub characters take the longest to design. They use the same steel structure, but the box plant is placed inside the frame and then grown and pruned to fit the shape of the character. This process can take up to 15 years! With thousands of people coming through the gates every day, the parks are bound to get a little messy. 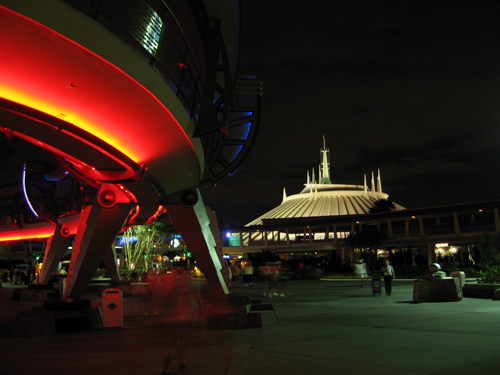 Cast Members are required to pick up trash if they see any, and the maintenance team is literally on call; when an area needs cleaned, they are paged to that area. Horticulturalists work day and night to make sure everything is fresh, green, and vibrant. But the landscaping can sometimes take a beating, too. Guests can walk through the grass and sit on it during parades and other breaks, and flowers can wilt and die. Horticulturalists work in the early morning hours and sometimes all through the night to weed gardens, remove dead flowers, replace wilted flowers, and change the landscaping according to the season. Have you ever been in Magic Kingdom one day and it looked totally normal then you come the next day and it’s all decorated for a holiday? They can even transition from Halloween to Christmas, literally overnight! It takes a small army to make this happen, and the horticulturalists are heavily involved! 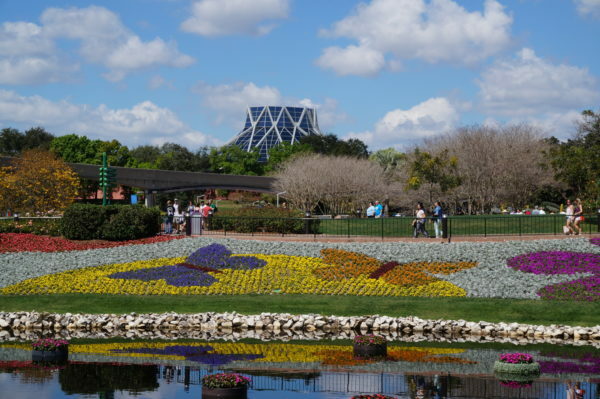 Disney takes green space very seriously, and with 2,000 acres of grass that must remain pristine all the time, there are horticulturalists dedicated only to the grass! It must be cut at least twice per week and even more during rainy times, which adds up to around 450,000 miles put on their mowers every year! That’s a lot of work! 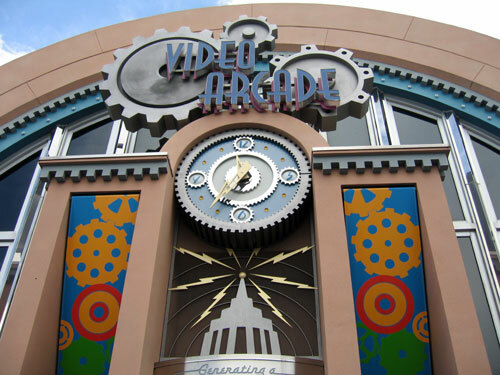 As I mentioned above, theming is very important in Disney World. 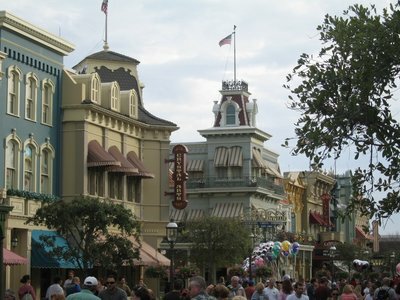 In Magic Kingdom alone, there are six different lands including Main Street USA, Tomorrowland, Fantasyland, Frontierland, Liberty Square, and Adventureland. All of these areas will have very different landscaping. Imagine seeing a cactus in Liberty Square- it would look out of place. Horticulturalists have to make the scene believable. This isn’t to mention Disney’s Animal Kingdom, which has seven different lands. Some of the areas are real-life places like Africa and Asia, and other places exist only in our imagination like Dinoland USA and Pandora – The World of Avatar. DinoLand features some real plants and trees that are some of the oldest recorded on the planet, and the landscaping of the area helps to tell the story of plant evolution. At Expedition Everest, the lowland area is created with 900 bamboo plants, 10 species of trees, and 110 species of shrubs. Why is all of this relevant? Because the landscaping has to contribute to the believably of the land. If guests can point out inconsistencies, the whole story can come into question. This is definitely a job for a well-trained horticulturalist! With all of this green space and Florida’s natural environment, there are plenty of bugs. Some bugs are beneficial; they work to pollinate the plants and help to remove waste. However, some bugs are pests; they eat plants that they shouldn’t be eating and they can be predatory or parasitic making them dangerous to animals or people. 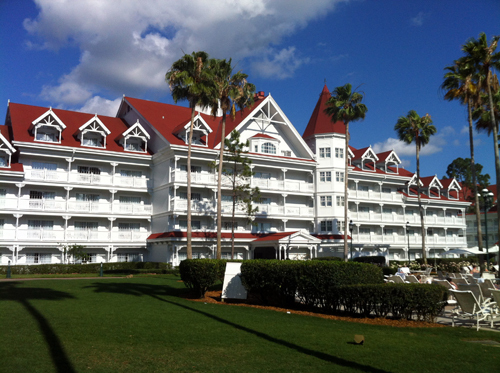 Horticulturalists in Disney World have to identify beneficial pests and encourage their activity, and they also have to do what they can to remove harmful pests. They also have to inspect plants for damage from pests and pests for dangers to Cast Members, guests or the animal residents and monitor changes that could be concerning. 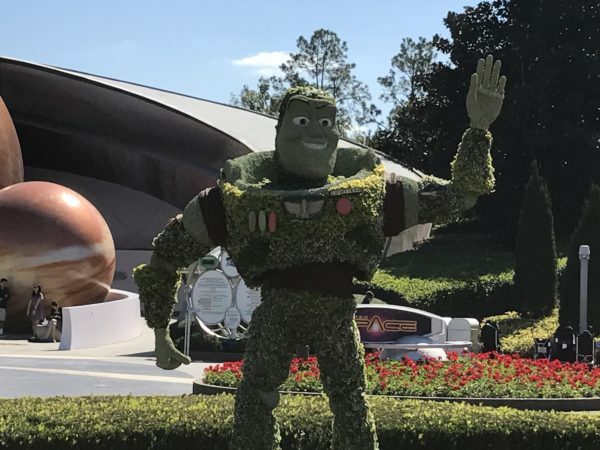 Disney’s horticultural team is highly trained, but they have to continue their professional endeavors to stay current in their field and also meet certain expectations. Disney World partners with The University of Florida for continuing education for Disney’s team. Together they work on new procedures and explore new products and topics. Horticulturalists take conservation very seriously! One of the biggest concerns for Disney’s Horticulturalists is conservation. 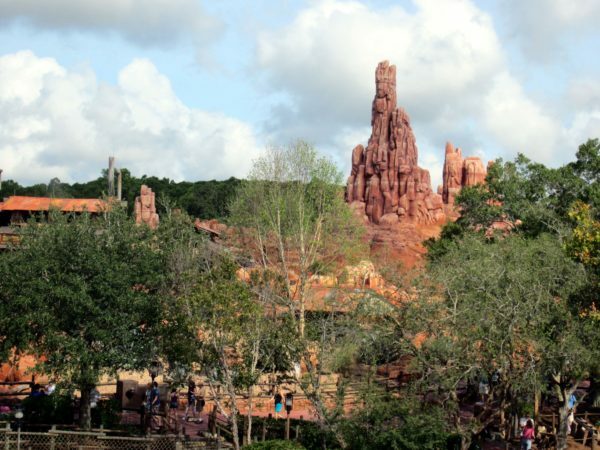 Disney World has 30,000 acres of conservation lands and water. Conservation has always been a goal for Disney World since most of the resort was built on wetlands; Disney does not want to disturb this habitat, and horticulturalists work to make that possible. Love plants? Would you enjoy a job as a Horticulturalists at Disney?